As you are all well aware Christmas is fast approaching. CAWA will be holding our annual end of year celebration and CAWA members and their partners are welcome. This year CAWA is doing something a little bit different and are arranging for the meal to be catered by Paellas and Tapas (the same people who provided a Paella meal on a Willyabrup trip last year). Directions: Come down Honour Rd on the left side of Pt Walter Reserve, going straight through the roundabout at Carroll Drive and continuing on past the tennis courts. On your right you will see a kid’s playground some parking and BBQ’s that are quite close to the road. We will be in that general area, fairly close to the road. On your left, if you follow the path down to the water, you will find a long expanse of limestone wall conveniently placed for your bouldering pleasure. Map 1. Map 2. What to bring: Deck chairs or picnic blankets, Sun screen, hats, mozzie repellent, towel, old climbing shoes, chalk bag, swimmers, jumper (if it its cool) and your favourite outdoor game. 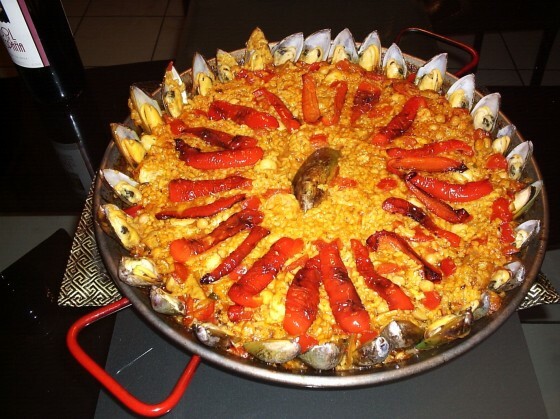 CAWA will subsidise the cost of the meal so for $15.00ea you get two Paella’s (Seafood and Chicken) and two Tapas!!! Non-members will have to pay $25.00ea (Still subsidised). Kids eat free J.
Perth Guide book will be on sale for only $29 (down from $39 in the retail shops). RSVP: cawa@climberswa.asn.au by no later than Sunday 1st of December. Please note that RSVP’s are required to ensure that attendees are catered for. We look forward your attendance at this popular annual event. It’s a great opportunity to join in and meet up with members, new and old. Next PostNext CAWA AGM Photo Comp is on again!